Upstate Spine & Sport was started with the vision of providing Greenville and the surrounding areas with unparalleled service and individual results. Our goal is to not only help you feel better and become pain-free but to empower every individual to start living healthier, more functional lives. We offer an innovative and advanced integrated approach to provide patients with the highest standard of nonsurgical care. We serve as one of a small number of practices in the country to offer chiropractic physical medicine, soft-tissue techniques, therapeutic rehabilitation, nutrition, golf assessment, and acupuncture under one roof. Dr. David Jolson is focused on the treatment of musculoskeletal injuries, quickly relieving pain and teaching his patients how to prevent future issues. 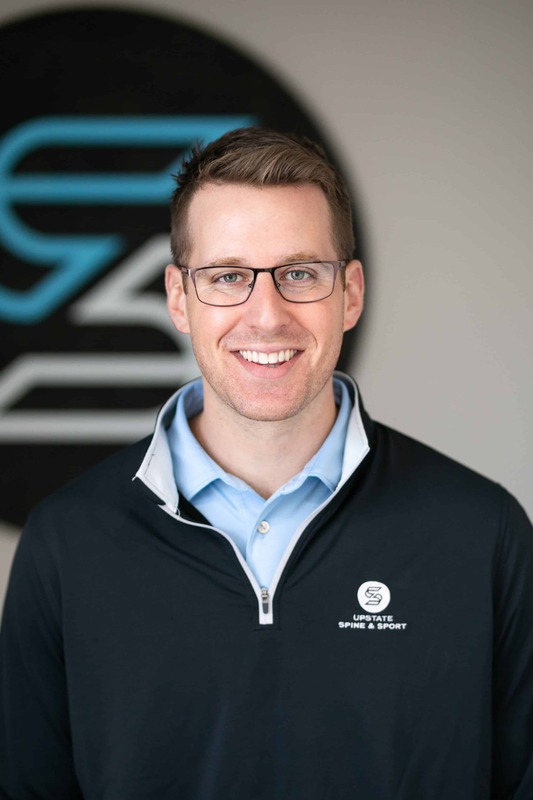 Dr. Jolson is the sports chiropractor for the Grenville Triumph, Hincapie Racing Team, PGA Tour pros like Bill Haas and Ben Martin, and consultant for the Greenville Drive. Dr. Jolson has a unique background, combining principles from the medical profession, chiropractic, physical therapy, and sports performance. He interned with his mentor and father, Dr. Scott Jolson, MD, sports medicine orthopedic surgery consultant for the Cincinnati Reds. This helped David understand the full spectrum of musculoskeletal care and led to his specialty in the shoulder and spine. After graduation, Dr. Jolson has continued his education by obtaining a growing list of additional certifications, diagnostic tools, and therapy techniques. He has presented injury prevention and biomechanical seminars for local athletic clubs, businesses, triathlon, and marathon training groups. Dr. Jolson was voted as the Best Chiropractor in the 2018 Greenville News Best of the Upstate. In his free time, Dr. Jolson enjoys spending time with his wife and son, Miles. He also enjoys volunteering at the Greenville Free Medical Clinic, reading, swimming, and playing golf. Dr. Jolson loves being a part of and serving the Greenville and Upstate community. “He was much different than any other chiropractor I’ve ever seen, in a good way. If he’s not the best chiropractor in Greenville, I’d be shocked.” – H.J. “Dr. Jolson has a unique approach with the combination of chiropractic and physical therapy… I learned techniques I can take with me throughout my everyday life to make me stronger and back to practicing yoga to my fullest ability.” – K.L. Fran Jolson is thrilled to be back home in Greenville. Fran attended Riverside High School and is a graduate of Wake Forest University. After finishing her undergraduate studies, Fran worked in Chicago for the Western Golf Association and Evans Scholars Program as an event coordinator for fundraising events. Her path to acupuncture and wellness has been a very personal journey. While in Chicago, Fran struggled with women’s health and digestive issues. Like many patients, she tried many different traditional medical providers, seeking relief from her conditions – but nothing was working. Finally, Fran decided to take an alternative approach. She began acupuncture treatments, changed her diet and lifestyle – and finally saw results. When she realized the power of holistic, alternative medicine, she was inspired to enroll at National University of Health Sciences (NUHS) to pursue the study of acupuncture, so she could help other people realize the same benefits she has experienced herself. In 2016, Fran graduated as valedictorian with a Masters of Science in acupuncture (M.S.Ac.). She has also completed board examinations and holds certification from the National Certification Commission for Acupuncture and Oriental Medicine. She is a Licensed Acupuncturist (L.Ac.) in the state of South Carolina. Fran has completed 420 hours in her clinical acupuncture internship at NUHS, as well as 200 hours in the Pain Clinic at John H. Stroger Jr. Hospital in downtown Chicago. She has a passion for women’s health and has accrued many continuing education hours in the field of fertility. 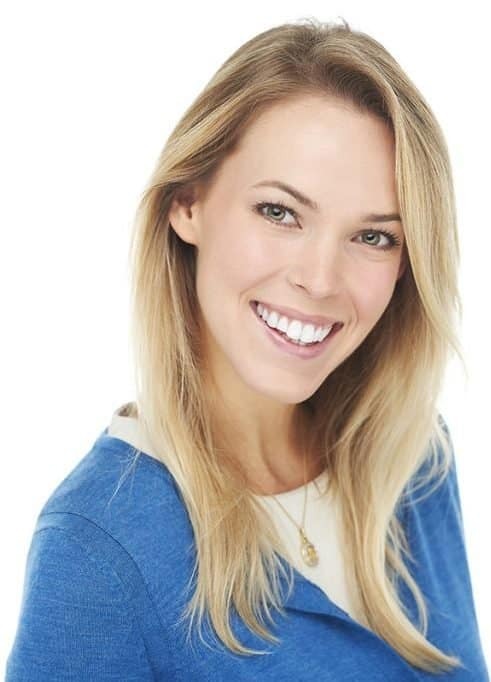 Along with pain management and fertility, her practice also includes treatments for stress, digestive disorders, men’s health, psycho-emotional disorders, addictions, weight loss, diabetes, and more. Fran uses traditional acupuncture, cupping, acupressure and moxibustion. Along with East Asian Medicine therapies, she also incorporates a variety of Western techniques into her patient care. She has studied nutrition extensively and is certified as a coach through Precision Nutrition. Fran believes in educating and empowering her patients to take charge of their own health and wellness beyond the treatment rooms. In her free time, Fran enjoys spending time with her large and constantly growing family. She also loves barre classes and trying new fitness classes around town, watching movies, and reading. Fran is excited to serve the Upstate community. Dr. Jolson is the BEST!!! I had back pain, tried PT and had never been to a chiropractor before and all I can say is I am glad I went. Dr. Jolson is very bright, professional and caring. He truly listens and although I was a bit hesitant at first he patiently explained the reason behind everything we did. I am back to my old self and can't thank him enough. My back pain is gone and if you want a doctor that truly cares and knows what he is talking about I highly recommend Dr. Jolson. He really is the best!!!! I'm a chiropractic student who traveled from Chicago to spend time with Dr. Jolson. 100% worth the trip. He's a progressive & modern chiropractor who is pushing our profession forward. I was able to observe: low back pain, neck pain, shoulder instability, knee pain, and even plantar fascia cases. All patients handled professional and ethically. The office is beautiful and the staff is fantastic! I can't wait to come back to learn with Dr. J and explore more of beautiful Greenville SC! Dr. Jolson and the entire team are truly fantastic!! The environment is warm, welcoming, and inviting! Dr. Jolson is highly professional, knowledgeable, and experienced. He combines multiple disciplines, tactics, and movements to address the presenting issues in a timely, cost-effective, and efficient manner. I would highly recommend to anyone experiencing body tightness, mobility, breathing, and/or a variety of other concerns. Your searching days are over - you have come to the BEST:) My son went to Dr. Jolson due to a stress fracture in his back. Dr. Jolson was so positive and encouraging while at the same time being realistic. He never made promises that my son would be completely healed. What Dr. Jolson did do however was make my son feel comfortable with him and with what he was asking my son to do. Dr. Jolson is incredibly knowledgeable and well-trained. He has worked with a variety of other specialists so that he can offer different approaches to treatment, and he explains everything he is going to do on a level that anyone can understand. I highly recommend Dr. Jolson not only for his medical expertise but also for his relaxed atmosphere and calming manner. You won't be sorry with your choice to let Dr. Jolson treat you! Dr. Jolson is a very capable and personable doctor. Best Chiropractor/sports medicine facility I have ever been to. He really cares about his patients! The office is clean and provides a great atmosphere for all his patients. 10/10 Would recommend.